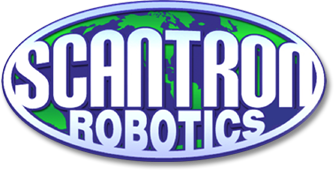 Scantron Robotics Inc. is able to clean your water tank while it is in operation using advanced robotic water tank cleaning technology. Our operators have hundreds of hours of experience doing robotic potable water tank inspection and cleaning work. Potable water is essential to your community or business and Scantron Robotics takes on this responsibility with true professionalism. SCANTRON ROBOTICS is the pioneer of the potable water industry in Canada, providing on-line ROV inspection and cleaning services that follow AWWA standards for equipment and materials used in the treatment and distribution of drinking water. SCANTRON ROBOTICS equipment is sanitized according to code and is designated for potable water only. Commercially certified and fully disinfected according to AWWA Standard C652-92. The Tank Rover unit is constructed of inert high-density plastics. Even the critical thruster bearing seals have been filled with a food grade glycerin. The unit is disinfected before every inspection in accordance with AWWA C652 using a 200ppm+ chlorine solution on all components that enter the water. Unlike with divers there is no concern over medical records or discharged breathing air into the water, therefore there is no possibility of water contamination with the ROV unit in potable water. Our personnel are all highly qualified tank inspectors. Qualifications include various methods of inspection. They have the support backing of a chief inspector that has NACE coating inspector qualifications and over 12 years of tank inspection experience.